IIFT exam is less than a week away and quite a few students are worried about the General Knowledge section. The primary reason for such a feeling is that they have prepared for topics like Quant and Verbal for more than 6 months whereas GK has been neglected. If you are in that category, my suggestion to them would be – don’t worry. There is absolutely no need to worry. 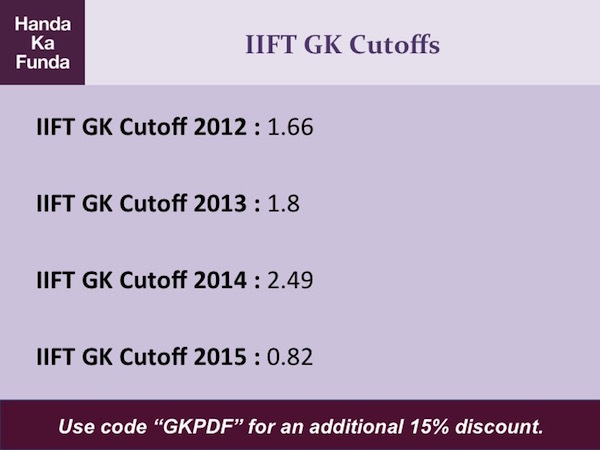 First of all, the cutoff for IIFT GK is traditionally on the lower side. Even if you can dedicate 10-15 hours towards General Knowledge preparation, rest assured you will clear the cutoff. As a matter of fact, you should be targeting to do well in the GK section. In this particular post, I would like to touch upon a few things that can help you do well in the exam. All these are a part of an online General Knowledge Coaching course that we run. In the course, we cover important topics of with the help of videos and presentations. Although, the entire course would take somewhere around 30 hours to cover, the important bits can be covered in less than 15 hours. You can read more details about the course and register for the course by clicking the green button below. 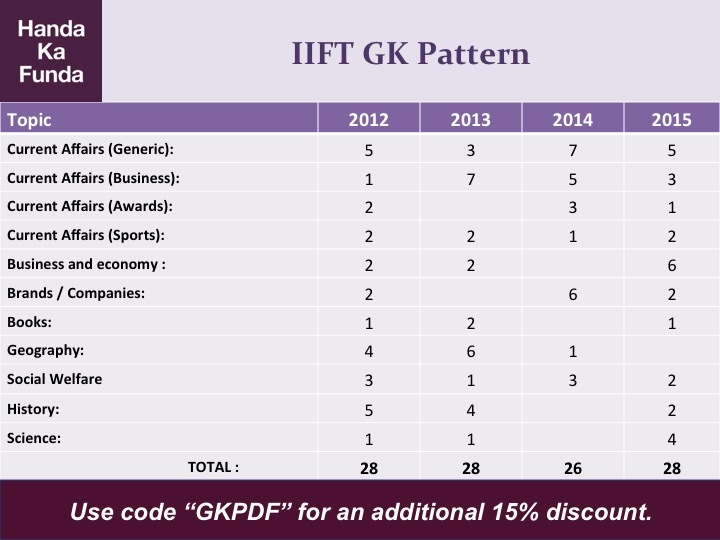 Let me add, this online GK course will not only help you with IIFT but will also be useful in other exams like SNAP and XAT. Also, the factopedias (video tutorials) in the course will help you immensely in the Group Discussion / Written Ability Test / Personal Interview stage. Given below is a list of important topics that we believe will be helpful for the IIFT exam. In our online course we have 10-15 minute videos on each of these topics. 31. Economic reforms since 1991, Economic indicators, How to analyse a budget? 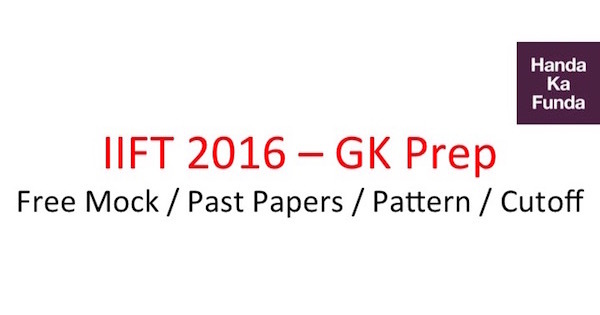 Hope you do well in the IIFT 2016 exam.